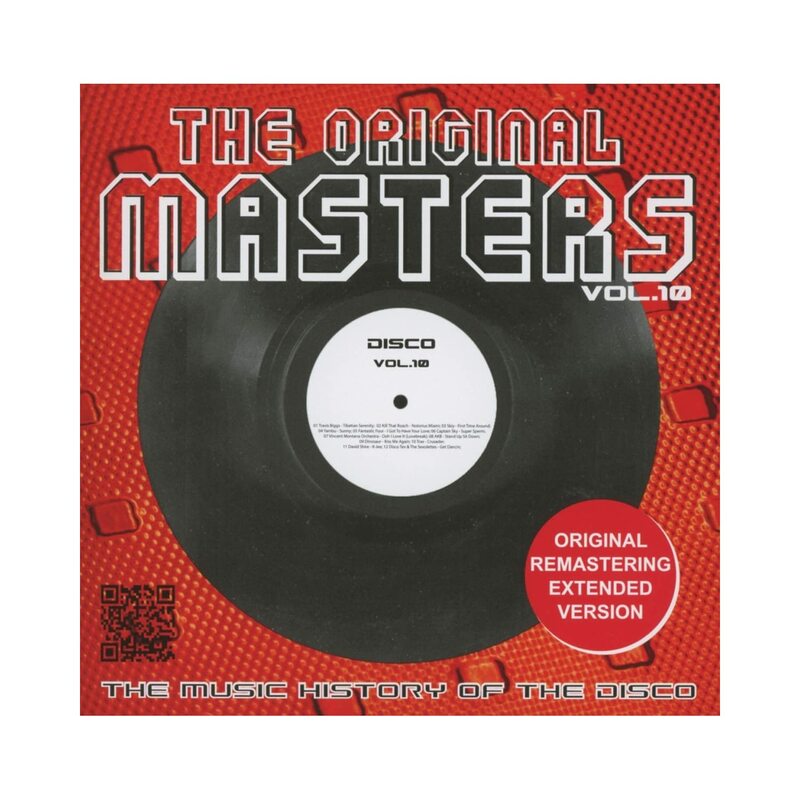 THE ORIGINAL MASTERS-DISCO VOLUME 10. Often, when it comes to a successful compilations series, record companies are loathe to kill what has become a musical golden goose. You can see their point. After all, the music industry is not only going through the toughest time in its history. So any album that’s commercially successful and profitable is to be welcomed. Sadly, however, record companies must face up to reality. Always, there comes a time when a compilation series has to end. Sadly, it almost becomes unavoidable. All too often, it becomes the equivalent to a musical mercy killing. Afterwards, everyone connected with the compilation, collectively breathes a sigh of relief. They knew it had to happen, it was inevitable, they watched the following scenario unfold before their eyes. Usually, what has happens is, that after several critically acclaimed and commercially successful volumes, the quality of music diminishes. With each volume, the music gets worse. Tracks start to appear on compilations that would’ve never gotten near the early volumes. As a result, sales fall and the memories of the compilation’s heyday are just a distant memory. For compilers everywhere, they dread this happening. The thing is, there’s no set number of compilations after which, the decision to kill the musical golden goose should be contemplated. Some compilations last three of four volumes, others get into double-figures. Indeed, The Original Masters-Disco Volume 10 has just celebrated getting into double figures. The last two volumes lived up to the quality of the early volumes. Is this the case with The Original Masters-Disco Volume 10, or is the series beginning to show its age? That’s what I’ll tell you, when I tell you about the twelve tracks on Milestone Records’ The Original Masters-Disco Volume 10. Miami were a soul, funk and disco band who released four albums for Drive, a subsidiary of Henry Stone’s T.K. Records. Their sophomore album was 1976s Notorious Miami, which featured Kill That Roach. It’s a fusion of soul and funk, with the lushest of swirling strings an added bonus. Quite simply, this is something of a hidden gem. Skyy’s First Time Around is one of the big hitters on The Original Masters-Disco Volume 10. This was track from Skyy’s debut album Skyy. It was the first of seven albums Skyy released between 1979 and 1984. Since then, this disco classic has become synonymous with Skyy. One thing you certainly can’t accuse the compiler of The Original Masters-Disco Volume 10 of, is being predictable. Quite the opposite. They’ve unearthed Yambu’s 1975 Afro-Cuban disco single Sunny. Like their debut album Yambu, it was released on Montuno Records in 1975. This was the first of three albums the Yambu released. Soulful, funky and filled with hooks, this is a slice of musical sunshine, which will brighten anyone’s life. In 1977, the Fantastic Four released their fourth album I Got To Have Your Love on Westbound Records. This was their second album to be released on Westbound. Released as a single, was the title-track I Got To Have Your Love. It was remixed by Tom Moulton, the Godfather of the remix and twelve-inch single. Soulful and dance-floor friendly, this string-laden disco classic is all this and more. Sometimes, you just need to look at an album cover to realize that it’s going to be something special. This is the case with Captain Sky’s 1978 debut album The Adventures Of Captain Sky. It’s that wonderfully over-the-top, almost surreal, P-Funk style cover. Thankfully, the music matches the quality of the album cover. One of the highlights of the album was the twelve-minute epic Super Sporm. ironically, it’s misspelt on The Original Masters-Disco Volume 10 as Super Sperm. That is quite a Freudian slip. One of the great innovators of Philly Soul, then disco, was Vince Montana Jr. He was a founder member of M.F.S.B. and then founded The Salsoul Orchestra. Ooh I Love It (Love Break) was a track from The Salsoul Orchestra’s eponymous debut album. Then after Vince left Salsoul Records, he revisited Ooh I Love It (Love Break) with the Vince Montana Orchestra. Like the original version, Vince did what he did so well, and that’s innovate musically. AKB was a collaboration between arranger and producer Andy Khan and Philly DJ Kurt Borusiewicz. They cowrote Karen Young’s massive 1978 hit Hot Shot. A year later, they were back with AKB’s debut album Rhythmic Feet, released on Robert Stigwood’s RSO Records. Stand Up Sit Down gave AKB their one and only hit. Mind you, if you’re only going to have one hit, make it one as good as this. Dinosaur’s Kiss Me Again was written and produced by Arthur Russell and Nicky Siano. Released in 1978 and remixed by Jimmy Simpson, on Sire Records, this is one of the poorest tracks on The Original Masters-Disco Volume 10. Regardless of the quality of personnel involved in the project, this is a disappointing inclusion. Trax was a collaboration between Pete Bellotte and Keith Forsey. They released two albums on Polydor. The first was 1977s Watch Out, with Dancing In The Street Following in 1978. Trax was a track from Dancing In The Street. This pulsating, percussive filled track more than makes up for the previous track. Disco, funk and soul combine with Latin music, resulting in five action-packed minutes of music. Probably the best known track on The Original Masters-Disco Volume 10 is K-Jee. Why I hear you ask? Well, it featured on the fifteen-million selling Saturday Night Fever Soundtrack. The original version on The Saturday Night Fever Soundtrack was by M.F.S.B. This version is by David Shire. He and Bill Oakes had a trio of tracks on the Saturday Night Fever Soundtrack. They were Manhattan Skyline, Night On Disco Mountain and Salsation. Here, he gives an M.F.S.B. classic a makeover, bringing new life and meaning into a slice of seventies Philly Soul. I always thing that whether it’s a compilation or album, make the last track one of the best. It’s a case of leave the listener wanting more. Sadly, that’s not the case on The Original Masters-Disco Volume 10. Certainly not when the final track is Disco Tex and The Sexolettes’ Get Dancin.’ This is a track from their 1975 debut album Disco Tex and The Sexolettes Review. Sadly, this derivative track is what gave disco a bad name. There’s nothing good I can say about the track, except it only lasts four minutes. That however, is only a small crumb of comfort. Having listened to The Original Masters-Disco Volume 10, I can say that Milestone Records have reached this milestone with a compilation of quality music. Dance-floor friendly, soulful, funky and laden with subtle, and not so subtle hooks, familiar tracks and hidden gems sit side-by-side. Only two tracks disappoint, Dinosaur’s Kiss Me Again and the dreadful Disco Tex and The Sexolettes’ Get Dancin. Out of the twelve tracks, ten work really well. The other two, well it’s a matter of taste. My one gripe is the lack of proper sleeve-notes. That won’t bother many people. However, for some people, myself included, knowing who wrote and produced a track and for what label is a necessity. Instead, when you open up the booklet that comes with the CD, all you find are two empty pages. This was the case with The Original Masters-Disco Volume 8 and 9. Small details matter to people. What would really have made this compilation even better, was some background to each of the tracks. Overall though, the standard of music on The Original Masters-Disco Volume 10 surpasses that of The Original Masters-Disco Volume 9. Somehow, the compilers continue to unearth several underrated slices of disco, including some glistening hidden disco gems. For that, I commend them, and look forward to the next installment in this long and successful compilation series. Until then, I’ll enjoy most of The Original Masters-Disco Volume 10. Standout Tracks: Travis Biggs Tibetan Serenity, Skyy First Time Around, Yambu Sunny and Vince Montana Orchestra Ooh I Love It (Love Break). ← DEVIL’S JUMP: INDIE LABEL BLUES 1946-1957. Are Milestone Records a bootleg label? I have always assumed so because some of the early releases I heard from them are definitely direct from disc recordings and the recordings of some tracks were awful to say the least (I bought the compilation which featured the rare disco remix of Bay City Rollers ‘Don’t Stop The Music’ and the quality of the original disc they used was very poor). I wonder if the quality has improved at all with the later Original Masters volumes and whether you have any of the ‘Afro’ compilations they released as they have some rare tracks on them, but I just don’t want to be stung again with recordings that are too poor to play out anywhere. Equally, I do appreciate the CDs are very cheap so I am not knocking the concept, what amazes me is how they can operate so openly if the tracks are all unlicensed! Thanks for your comments about my reviews of The Original Masters’ series. I don’t early known much about Milestone Records. From my research, they have been around a few years and aren’t a bootleg label. Their website has undergone a makeover recently. The reason I stopped reviewing their releases due to the quality of some of the tracks and the lack of sleeve-notes.However, often there is a good explanation for the sound quality. What often happens with compilations, is that record company licenses a track, but can’t for any number of reasons, get access to the master-tapes. So, they use a vinyl copy instead. Usually, this would be in mint condition. A good example of this is when the original master-tapes have been lost or damaged. Another example is compilations of early blues and country compilations. Usually, old vinyl is used as the music wasn’t recorded to tape. The quality varies greatly. I tend to mention in my reviews if this has happened. I’ve not heard the Milestone Records’ Afrobeat compilations. As a huge fan of Afrobeat, I’d enjoy them. As you’ll have noticed I review a lot of Afrobeat. If you’re looking for some good Afrobeat compilations and albums, Analog Africa and Soundway Records release some great music. So, do Strut Records, a British label. Thanks for your comments Paul.